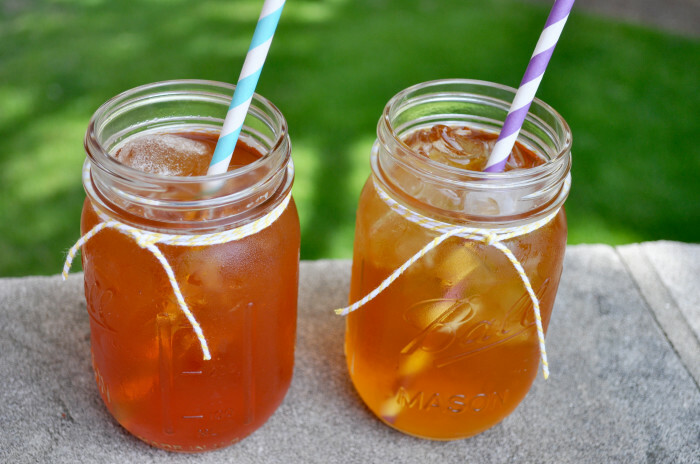 You are here: Home / Sponsored Posts / A New Way to Enjoy Iced Tea this Summer! 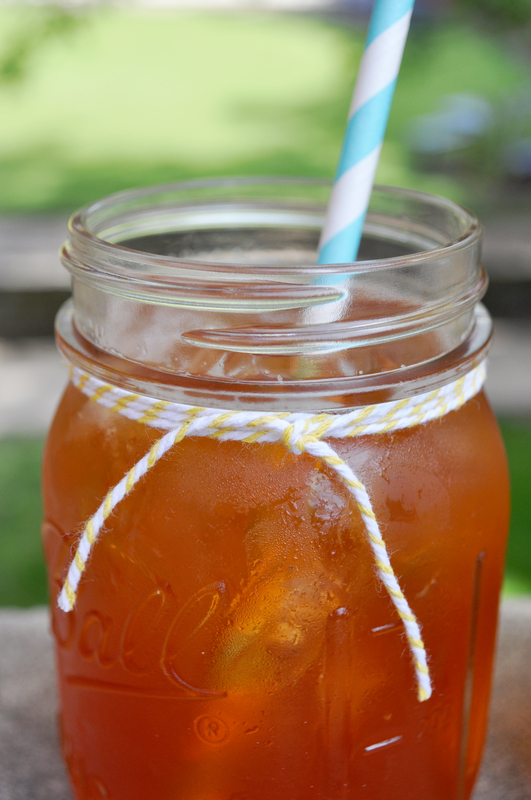 A New Way to Enjoy Iced Tea this Summer! You guys! I am so excited to share this with you. 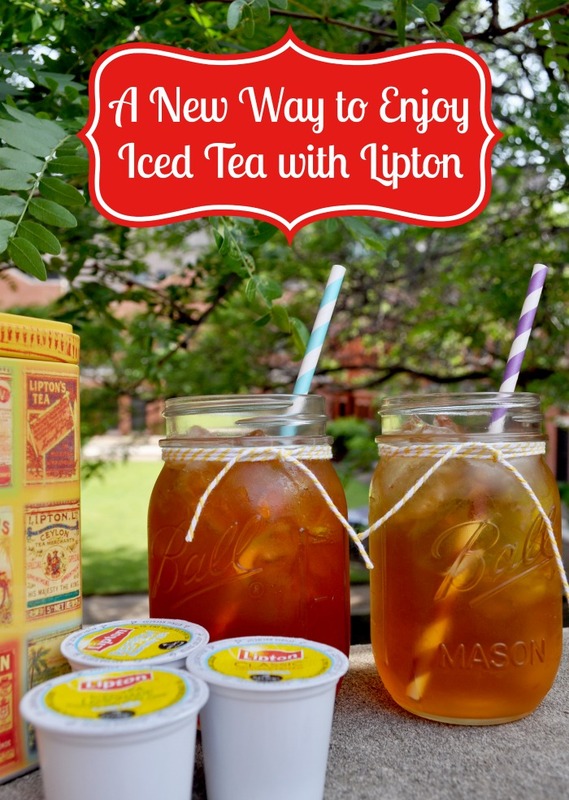 You might think I am crazy, but Lipton is seriously making my summer better by offering a new way to enjoy iced tea with their Lipton Iced Tea K-Cups. For this to really make sense, let me take a step back. My family is an iced tea family. When all of us get together at my parents’ house, my mom spends the morning brewing pots and pots of tea so that we can keep with all the needed iced tea. We love fresh brewed iced tea. My mom and dad drink it light on the sugar. My oldest sister drinks it so sweet it will rot your teeth. Me? I usually drink it with no sugar and a little bit of lemon. 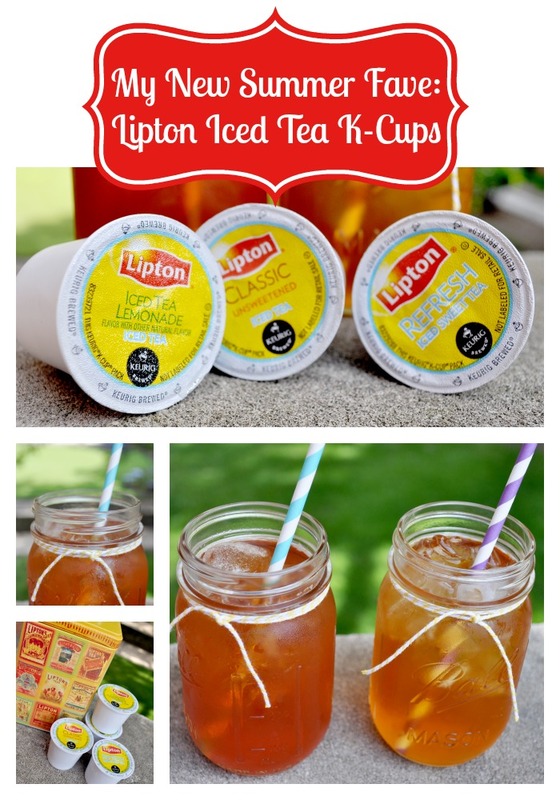 Lipton Iced Tea K-Cups is the perfect solution for me at home. When it is only me, I can make the exact amount of FRESH iced tea that I want. I can’t wait for Lipton to accompany me outside into the courtyard this summer. Plus, I can brew the tea straight into a plastic insulated tumbler which means Lipton is easily on the go with me. As you can see below, I love adding them to a cute mason jar after brewing for fun summery decor! To make, all you have to do is fill a 16-oz. (non-glass) cup under your brewer filled with ice, insert the k-cup, and brew on 6 oz or 8 oz setting. On my platinum Keurig with 5 size options, the 6 and 8 oz settings are the first and second from the left, but you will want to double check on your machine. You can find these k-cups at almost all national retailers and online in three great flavors: Tea Lemonade Iced Tea (my favorite at the moment), Classic Unsweetened Iced Tea, and Refresh Sweet Tea! 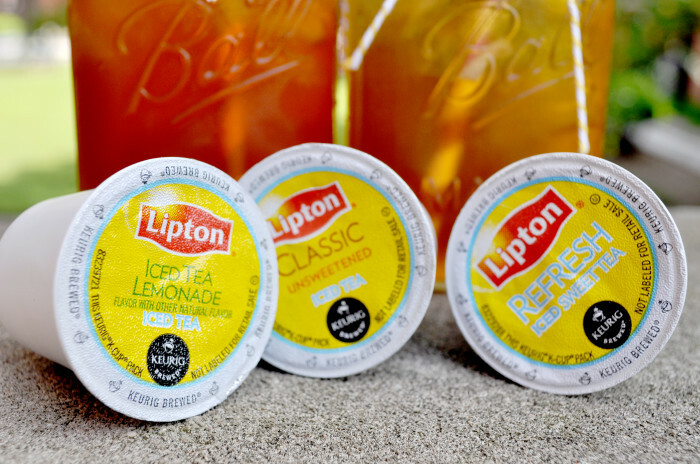 To learn more about Lipton products and get some insider info, follow along with Lipton on their SITE, FACEBOOK, and TWITTER! After you give them a try yourself, come back to let me know which is your favorite flavor! !